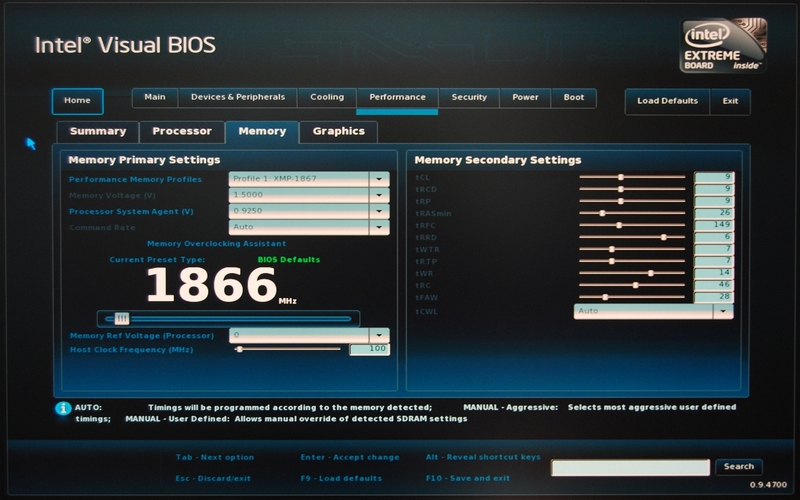 The Intel DZ77GA-70K UEFI is extremely well organized and powerful. 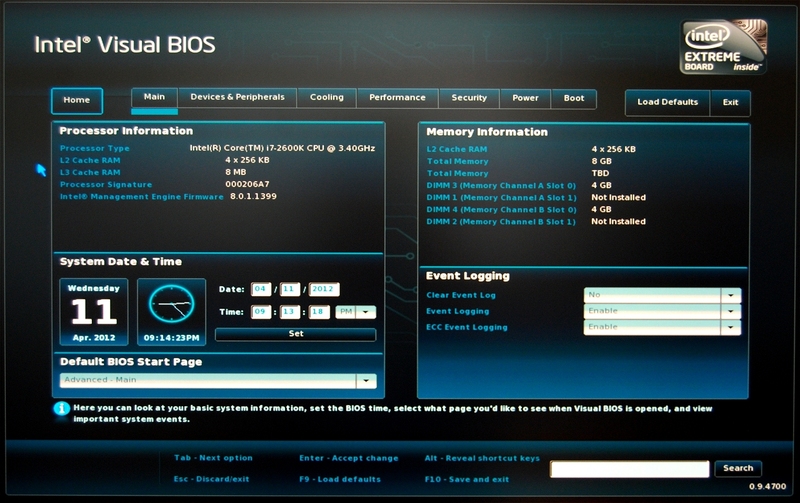 Above is the main menu where you'll find processor and memory information along with the system time and date and the system log. Just about everything you might want to tinker with is easily adjustable, including the default BIOS start page, a feature the ECS Z77H2-AX would have benefited from. 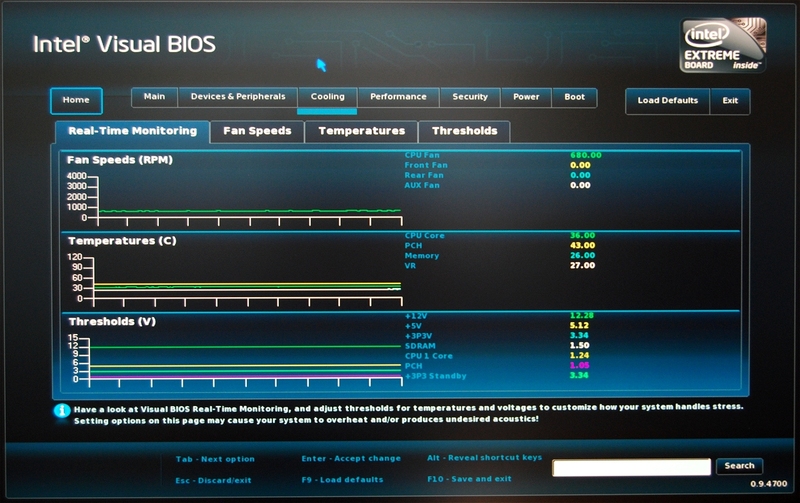 The Cooling menu lets you monitor fan speeds, temperatures and voltages. 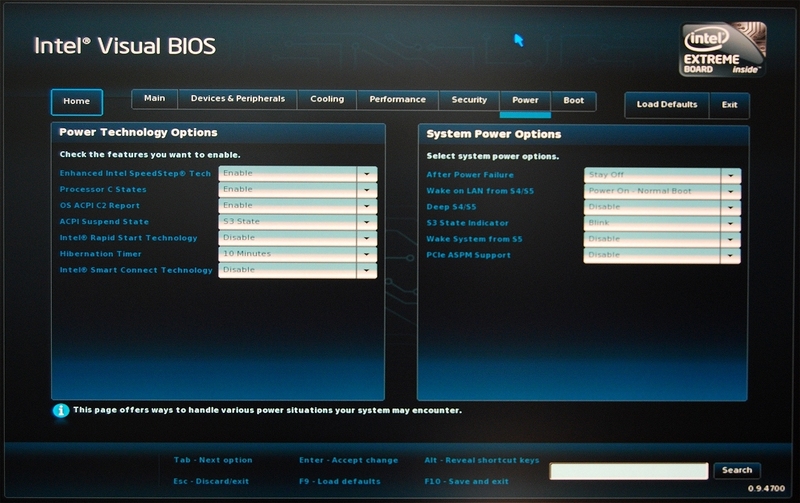 The Performance menu lets you change various processor, memory and graphics options. 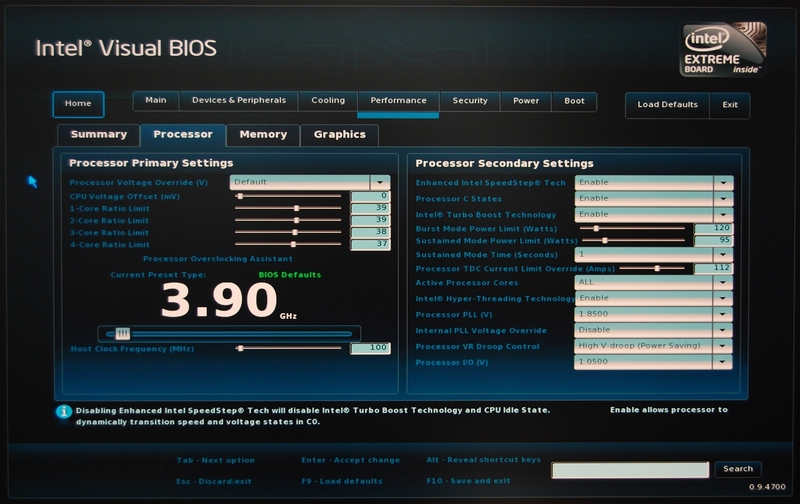 This is essentially the board's overclocking and tweaking section. 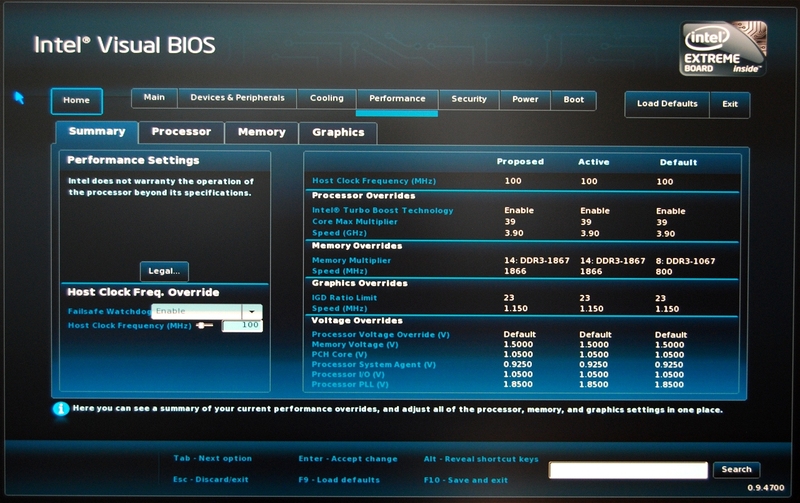 Here we're showing processor sub-menu within the performance tab, which keeps the same tidy yet feature-dense layout. The memory sub-menu lets you adjust various RAM settings, but we found it easier to simply load an XMP profile rather than changing things manually.